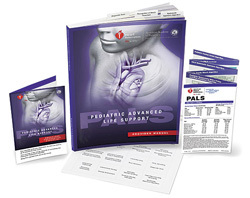 The PALS Renewal course is designed to provide pediatric healthcare providers with the knowledge and skills necessary to efficiently and effectively manage critically ill infants and children and help improve outcomes. This is the RENEWAL CLASS no book will be given, please review from your previous book. Course length is approximately 6 hours for the full course. Students must pass a written exam and megacode skills test in order to qualify for an PALS Provider Course Completion Card. Course length Approximately 6 hours.